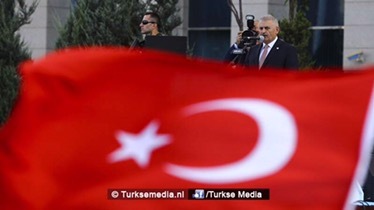 Prime Minister Binali Yildirim has accused international media outlets of launching a “black propaganda” campaign against Turkey following the July 15 coup attempt. He said the purpose of such a “perception operation” was to given an impression that there was “no stability in Turkey”, “there is war in Turkey”, “there is no rule of law in Turkey”, or “people are dying every day in Turkey”. “Turkey should not have to deal with such a black propaganda, it does not deserve this at all,” the premier said. He accused the Fetullah Terrorist Organization (FETO) of being behind the propaganda against Turkey, Yildirim said. “The source of this black propaganda is FETO, which organized the July 15 failed coup. It [FETO] is a global [terrorist] organization. It is a closed group and their relations are uncertain,” he said. Turkey accuses Fetullah Terrorist Organization (FETO), which is led by U.S.-based Fetullah Gulen, of organizing the defeated coup as well as a long-running campaign to overthrow the state through the infiltration of Turkish institutions, particularly the military, police, and judiciary. The defeated coup left 241 people martyred and some 2,200 injured.